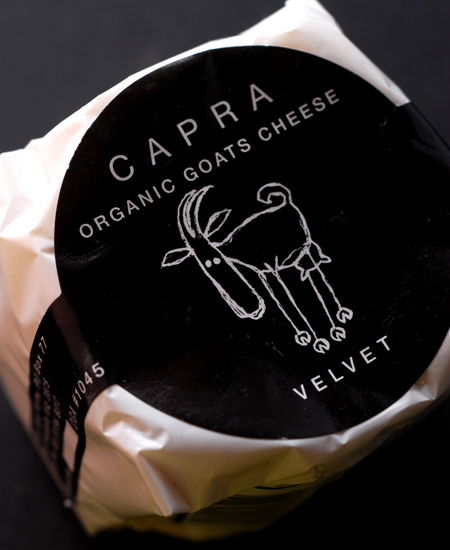 Located at Mt Lookout here in Victoria, Capra Cheese produces traditional farmhouse styled cheese using certified organic milk from their own herd of goats. 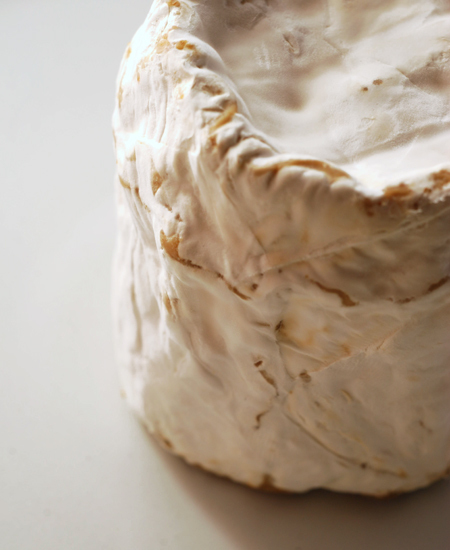 Velvet is a barrel shaped, french-styled white mould goat cheese. As it matures it moves from nutty and earthy to sweet and rich in flavour. With this well matured version, the texture is indeed, like velvet. The cheese can be scooped out and spread with a consistency akin to cream cheese. The rind is quite thick and rather intense in flavour - I would advise that you don't eat the rind. 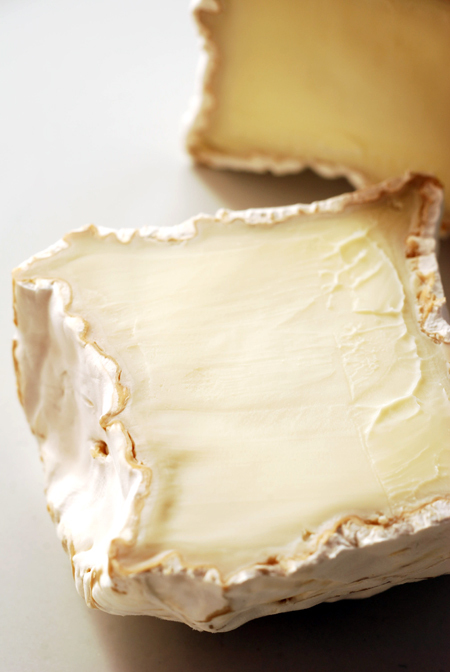 An enjoyable cheese with that pleasant goat tang at the finish - the creamy, lush texture gives it great mouth feel. Having received a very lovely email from the owners of Capra Cheese, I can now produce a list of outlets were you can find this cheese and others in the Capra Range.